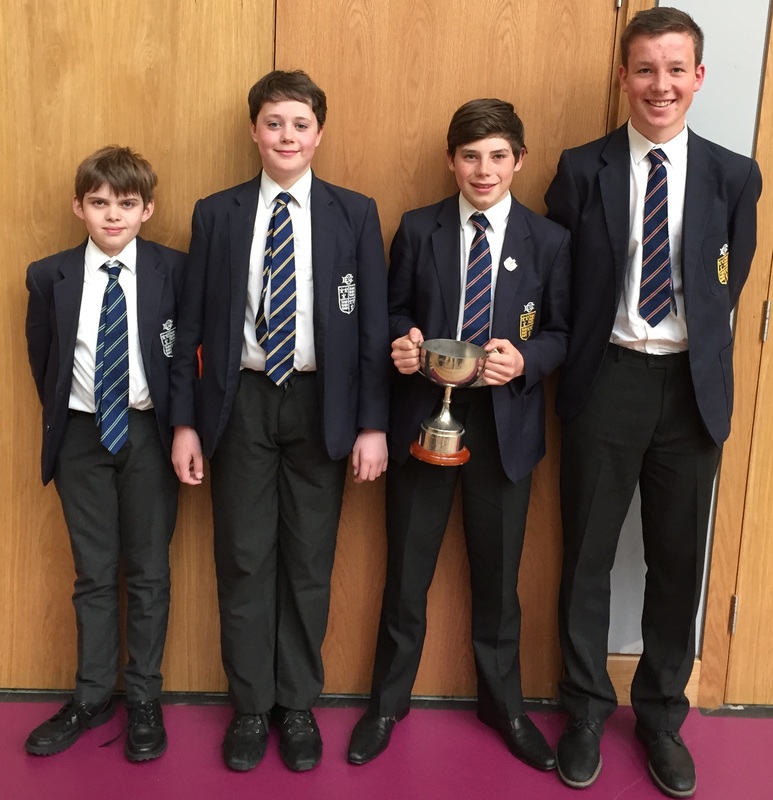 Sam Culverwell, Hugo Thompson, Sebastian Hazzan and Henry Partington represented Elizabeth College in the recent UKMT Regional Maths Team Challenge against the other schools in the Channel Islands. This annual event, sponsored by BWCI enables budding mathematicians of the future to test their talents against their peers and hopefully encourages them to pursue further studies in maths-based subjects. The boys scored a strong 51 out of 60 in the first round, followed by another solid score of 48 out of 56 on the Crossnumber round which put Elizabeth College in second place, just one point behind Victoria College, by the lunch break. The Shuttle round was particularly fiendish this year and the Elizabeth College score of 27 out of 60 turned out to be a good total, with many schools only managing single figures. The relay round which involves lots of pupils running around to collect new problems to solve was frenetic and fun as usual. Sam Culverwell managed to have a head on collision with a young lady from another school which provided the amusement for the afternoon but did not distract the team from their mathematics! 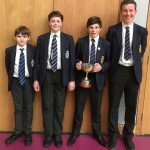 Once the final scores were counted the results stood as hosts Guernsey Grammar School were 3rd, Victoria College were 2nd and Elizabeth College won the event with a total score of 184 out of 236. The team will now go forward to the National competition in London in June.